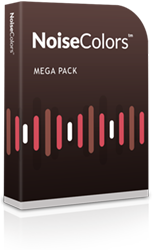 Our catalog consists of the three main types of coloured noise - White Noise, Pink Noise, and Brown Noise. Each is available on CD or in MP3 format, and all orders currently receive a FREE 'Oscillation' version of their session. 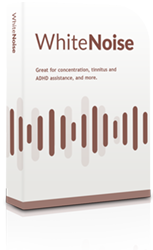 Great for enhancing focus, reducing tinnitus noise, masking office sounds, and eliminating distractions. 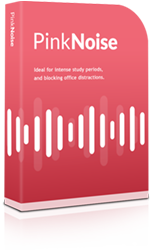 Ideal for boosting concentration and study sessions. Also used for soothing headaches, and calming children. all at one incredibly low price.